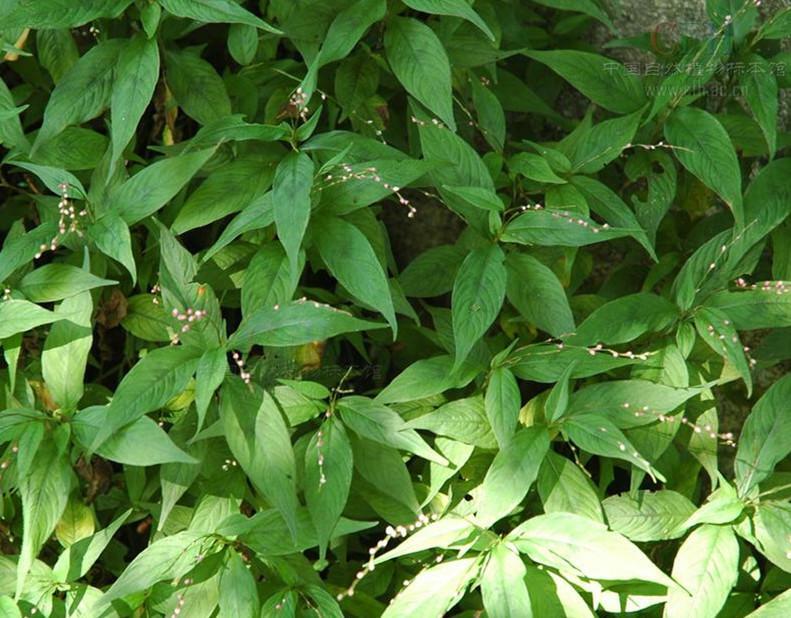 The drug is the dried or fresh entise herb of Polygonum caespitosum BL. (family Polygonaceae), growing in woods, roadsides or along creek, and distributed chiefly in Middle southern China, East China and Shanxi, Gansu, Sichuan, Yunnan, Guizhou. Clear heat and dry dampness, strengthen the spleen and treat infantile malnutrition, activate blood and regulate the menstruation, remove toxicity and relieve swelling. Ringworm of the foot, eczema, irregular menstruation, traumatic injuries, snake and insect bites, infantile malnutrition, diarrhea and dysentery.